So, following Tuesday night’s public hearing at Millersburg City Hall, what did the city council decide about future fire service in the town? For as long as anyone can remember, the town of 1,730 (according to the latest official estimate by the Population Center at Portland State) has been covered by two rural fire districts, Albany Rural from Conser Road south and Jefferson Rural to the north. Albany Rural contracts with the city of Albany for fire service, so it’s the Albany city fire department that responds to alarms in the southern half of Millersburg. Almost all calls to 911 now are about medical emergencies, which is why Millersburg would benefit from a fire station in town staffed by professionally trained emergency medical responders, which Albany firefighters are. The town has been growing rapidly — 28 percent since the last census seven years ago. Hasson says 400 residential lots are under development, and every 100 lots yield about 250 more residents when they’re built on. 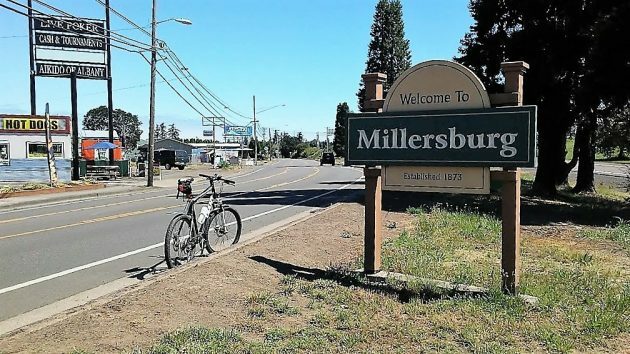 So the growth is likely to continue, and that’s one of the reasons Millersburg officials have been looking how best to provide fire service in the future. 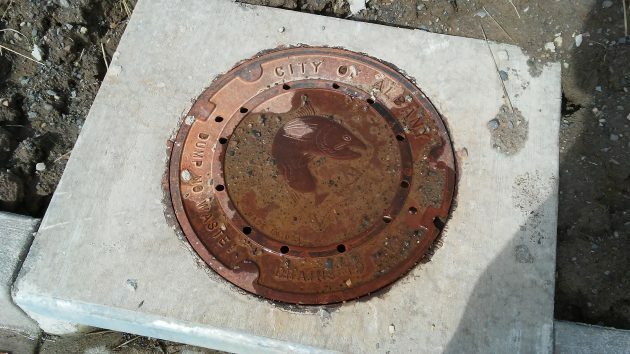 A manhole cover in one of the new Millersburg subdivisions being developed last spring. Who owns the current fire station in Millersburg, the city or the Jefferson Fire Department? If not Millersburg, will the city have to re-reimburse Jefferson for the existing fire station?